During the 9th week of the year (February 26th to March 4th, 2018), at least 25 press releases were announced by companies working in Mexico, with six reporting deals and corporate issues, six providing exploration results, and two announcing financing rounds. ON MEXICO ISSUES, Torex clarified media misinformation in Guerrero. ON EXPLORATION, In Sonora, Aztec Minerals reported drilling results at its Cervantes property, and San Marco completed an IP survey at its 1068 project. Azure reported exploration results on Mina Blanca prospect within its Oposura project. In Chihuahua, Mammoth and Golden Minerals announced drill results at its Tenoriba and Santa Maria projects respectively. Golden Minerals also reported drill results at its Mogotes project in Durango. In Zacatecas, Defiance Silver identified a large target within its San Acacio project; Advanced Gold revealed exploration plans on its Tabasquena project. In Puebla, Almaden reported drill results at its Ixtaca project. ON MINING, Mexus Gold restarted the pad leaching at its Santa Elena Mine in Sonora (Caborca). Goldgroup announced 2017 gold production and expansion plans for its Cerro Prieto Mine in Sonora. Bacanora Minerals reported positive economics and favourable operating cost for its Sonora Lithium project in Sonora. Santacruz reported mill expansion capacity on its Veta Grande Mine in Zacatecas. Endeavour and Golden Minerals reported 2017 financial results on its Mexican operations. ON FINANCING, Almaden announced a proposed private placement for $ 5.6M, and announced a subscription agreement with Newcrest Mining for gross proceeds of $ CAD 19M. Azure secured funding of approximately A$ 8.2M. ON RESOURCES AND DEVELOPMENT, Golden Minerals encountered mineralization in 14 holes drilled to increase the size of the existing resource estimate in its Santa Maria project in Chihuahua. Americas Silver provided an update on exploration results at its 120 zone, within the Cosala Mine in Sinaloa. Santacruz Silver announced additional drilling at its Veta Grande Mine in Zacatecas. In Veracruz, Mexican Gold Corporation reported drilling results from its Las Minas projects, in Veracruz. ON DEALS AND CORPORATE ISSUES, Excellon entered in a toll mill agreement with Hecla. Golden Minerals extended an option with HECLA to lease its oxide mill located in Velardeña, Durango. The company also amended the Celaya farm-out agreement with Electrum Global. Gainey Capital signed a letter of intent for the purchase and processing of a bulk sample with Grupo Wolinak. Newcrest acquired interest in El Cobre project. Torex appointed CFO. Dyna Resources announced favorable decision on its conflict with Goldgroup. Torex Gold Inc., clarified media misinformation regarding a land agreement with Real del Limon Ejido in Guerrero. The company confirmed a binding 30-year land lease agreement with the Ejido. Aztec Minerals Corp., announced phase 1 drill results at its Cervantes project in Sonora. Significant drill results comprise 122m from surface of 0.60 g/t Au, including 62m of 0.88 g/t Au, and 170m from surface returning 0.42 g/t Au, including 32m of 0.87 g/t Au. This phase 1 drill program is focused on defining oxide gold mineralization in the upper 200m. San Marco Resources Inc. , completed a 2km by 2.8 km grid IP survey at its 1068 porphyry copper, gold and molybdenum project in Sonora. This survey detected a 1.2 km by 1.3km chargeability anomaly which coincides with pervasive quartz-sericite-clay-pyrite ± iron oxide alteration previously mapped on surface. Azure Minerals Limited, identified a 500m long by 250m wide strong zinc and lead soil anomaly at its Mina Blanca prospect within the Oposura project in Sonora and is coincident with high-grade mineralization from a rock sample collected in the Mina Blanca old working. Soil samples were tested with a portable XRF analyzer, with values reaching highs of 0.32% Zn and 0.15% Pb. The rock sample from the Mina Blanca old working returned 1.71 g/t Au, 1,600 g/t Ag, 4.6% Cu, 1.6% Pb, and 2.8% Zn. Azure announced further exploration plans, including drilling for its Oposura project. Mammoth Resources Corp., announced results of two holes drilled at its Tenoriba project in Chihuahua in the Moreno and Masuparia areas. El Moreno area drill hole intercepted 7.2m of 0.23 g/t Au, 36 g/t Ag and 3.59 % Cu, while the Masuparia area hole returned 27m of 0.51 g/t Au from 28m depth, including 8.4m of 1.30 g/t Au, and 23.5m from 70m depth of 1.30 g/t Au, including 10m of 2.9 g/t Au and 5m of 4.9 g/t Au. Golden Minerals Company, drilled 8 holes in its Mogotes project in Durango, with low grade gold mineralization intercepted on 2 holes. The epithermal system seems to be deeper than the surface geochemical values initially indicated. Additional mapping and sampling is ongoing in the northern portion of the property. Defiance Silver Corp., carried out an IP survey at its San Acacio project in Zacatecas. The IP survey identified a 200m long by 300m wide target along the underexplored 900m Veta Grande vein, and requires an additional IP survey to close off the anomaly on the property. This undrilled target has the potential to host a virgin silver ore shoot at depth. Advance Gold Corp., announced plans to carry out underground mapping & sampling at its Tabasquena mine in Zacatecas, along with an IP survey followed by a drill program. The aim of the IP survey is to delineate the veins and trace their extension along strike. Almaden Minerals Ltd., intersected 10m of 2.1 g/t Au, including 2m of 8.2 g/t Au from a drill hole located approximately 1.2 km southeast of the PFS open pit at its Ixtaca project in Puebla. Mexus Gold US.- restarted the pad leaching at its Santa Elena Mine in Sonora (Caborca), after fixing some recovery problems. Goldgroup Mining Inc., presented its annual gold production for 2017 at Cerro Prieto Mine in Sonora. The company produced 4,670 Oz Au in Q4 for a total 2017 production of 14.7K Oz Au. Goldgroup also announced expansion plans for its mine, including the acquisition of an adjacent property to Cerro Prieto Mine, and expects to produce over 22K to 25K Oz Au in 2018. Bacanora Minerals Ltd., reported positive economics and favourable operating cost of 35K tonnes per year battery grade lithium carbonate operation, confirmed in recently FS on its Sonora Lithium project, in Sonora. The company also secured access and surface rights agreements and the environmental permit for the construction of an open pit mine and large-scale processing plant in site. Santacruz Silver Mining Inc., reported 85% progress of the mill expansion capacity to 750 tonnes per day on its Veta Grande Mine in Zacatecas. The mill expansion is being funded by Carrizal Mining S.A. de C.V.
Endeavour Silver Corp., reported 2017 financial results of its Mexican operations (six mines). The company produced 4.9M Oz Ag and 53K Oz Au during the year. Golden Minerals Company, reported 2017 financial results from its Mexican operations. Almaden Minerals Inc., announced a proposed private placement to raise $ 5.6M to continue drilling its El Cobre project in Veracruz. In addition, the company also announced a subscription agreement with Newcrest Mining ltd. for aggregate gross proceeds of $ CAD 19M. Newcrest will acquire an indirect interest of 19.9% in El Cobre project. Azure Minerals Limited, secured an oversubscribed A$ 8.2M placement to advance its Sara Alicia and Oposura projects in Sonora, fund ongoing exploration activities and provide general working capital. Santacruz Silver Mining Inc. announced an expansion to include 3,000m of underground additional drilling at the Armados vein to better delineate a mine plan at its Veta Grande Mine in Zacatecas. It also reported on the expansion of mill capacity, which is being funded by Carrizal Mining S.A. de C.V.
Mexican Gold Corp., revealed results from the resource expansion drilling program carried out at its Las Minas project in Veracruz. Significant results returned 38m of 4.5 g/t Au, 16 g/t Ag, and 3.3% Cu, confirming the continuity of the high-grade mineralization encountered in previous drill holes. This result will increase the tonnage and grade of the maiden mineral resource estimate. Endeavour Silver Corp., announced a PFS at its Terroneras project in Jalisco, advancing the project towards a production decision, having received permits to build the mine and plant, and awaiting waste dump and tailings permits. It also completed a PEA at it’s the El Compas Mine in Zacatecas and has taken the decision to start the mine construction. Excellon Resources Inc., announced an agreement with Hecla to toll mill sulphide ore from the San Sebastian Mine in Durango at its Miguel Auza processing plant in Zacatecas. The agreement envisages 400 tonnes per day or 12,000 tonnes per month to be milled at the plant. Golden Minerals Co. extended an option to lease its oxide mill to Hecla for an additional period of up to two years in exchange for a $1 M cash payment and the purchase of $1M in shares. The company also amended the Celaya (in Guanajuato) farm-out agreement with Electrum Global Holdings LP., same that will earn and additional 20% interest in exchange of a $1M payment, with the possibility to increase its interest to 80% by spending an additional $2.5M. Gainey Capital Corp., signed a letter of intent for the purchase and processing of a bulk sample with Grupo Wolinak. Newcrest Mining Ltd., acquired indirect 19.9% interest in El Cobre project, in Veracruz, through the investment of $ CAD 19M. Torex Gold Resources Inc., appointed CFO. Dyna Resources Inc., announced a favorable decision from a US District Court Magistrate Judge on its conflict on San Jose de Gracia Mine in Sinaloa with Goldgroup Mining Inc.
On the picture below, chalcopyrite – magnetite mineralization on drill core from the Las Minas project in Veracruz State. Image from the March 3rd 2018, Mexican Gold Corp. press release. During the 51st week of the year (December 18th to December 24th, 2017), at least 17 press releases were announced by companies working in Mexico. ON MEXICO ISSUES: The illegal blockade promoted by the Los Mineros Union since November 3, 2017 is showing how far the government is willing to go, or not, to establish the rule of law. ON EXPLORATION: two press releases from companies working in Mexico informed on exploration efforts during the week: In Chihuahua Radius Gold released good rock chip results from its Amalia project. 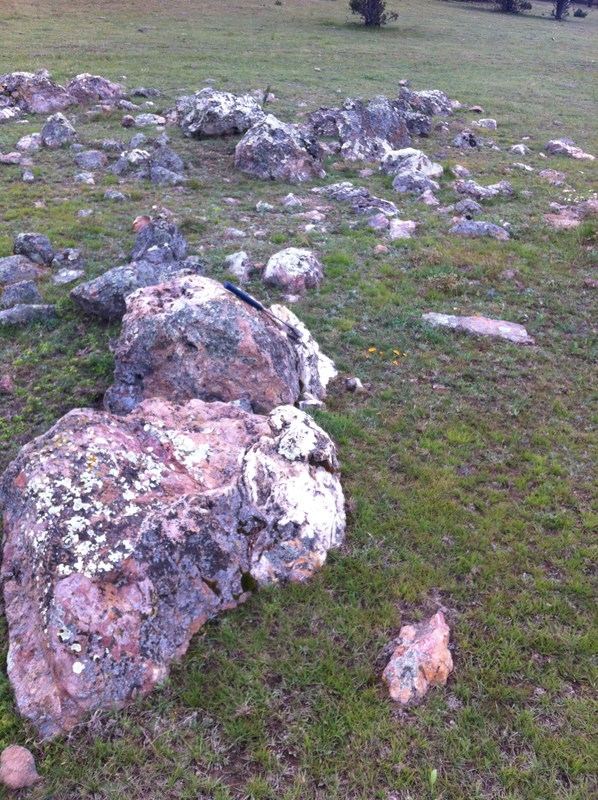 In Sinaloa Gainey Capital is exploring the La Minita porphyry copper style property. ON MINING: Great Panther announced government authorization for the construction of a second tailings storage facility at its Topia mine in Durango. Mexus Gold produced gold with a Merrill Crowe system installed at its Santa Elena mine in Sonora. Americas Silver announced the San Rafael mine at its Cosala complex is now on commercial production. ON FINANCING: Telson Resources entered into a US$15 M loan with Trafigura. SilverCrest completed a bought deal private placement for $10 M. Primero Mining agreed on an extension to its revolving credit facility. Torex Gold received a waiver to lower the threshold in the credit agreement from $50 M to $30 M. ON RESOURCES AND DEVELOPMENT: In Sonora, Oceanus Resources presented an update on the drilling of its El Tigre property. In Chihuahua, Consolidated Zinc announced the interception of massive sulfides on the Tres Amigos zone of its Plomosas property. In Puebla, Almaden released new results from follow-up drilling at its Tuligtic property. In Guerrero, Alio Gold provided the final results of the confirmation drilling at its Ana Paula project. ON DEALS AND CORPORATE ISSUES, Torex Gold suspended its workforce employment contracts on the basis of the illegal blockade that has halted all operations since November 3rd at its El Limon-Guajes mine in Guerrero. The company has made a call to the relevant authorities to remove the illegal blockade (which seems to have fallen on deaf ears). Orex Minerals, Canasil Resources and Pan American Silver signed an agreement to advance the Sandra Escobar project in Durango, same that includes provisions for Pan American participation on the discovery. Gainey Capital signed a LOI to acquire the La Minita property in Sinaloa. Marlin Gold can now spin-off its subsidiary Sailfish Royalty. Vangold is acquiring the San Carlos claim in Guanajuato, adjacent to its Pinguico property. Americas Silver agreed with Hochschild to amend the payment schedule on the acquisition of the San Felipe project in Sonora. On the Torex Gold El Limon – Guajes mine illegal blockade in Guerrero (Editor’s comment). The illegal blockade promoted by the Los Mineros Union since November 3, 2017 is showing how far the government is willing to go, or not, to establish the rule of law. The Los Mineros Union is clearly trying to extortionate Torex with an illegal blockade to obtain the Union contract at the site, and delaying the date for a formal voting process that the company has vowed to respect. Radius Gold Inc. released rock sampling results from its Amalia project in Chihuahua. A new discovery in the San Pedro area returned 13 m @ 2.51 g/t Au, 164 g/t Ag in a continuous chip sample (10 individual samples), while new sampling 50 m above and along strike the Guadalupe zone returned 8 m @ 0.21 g/t Au, 264 g/t Ag. At the Campamento zone a 500×700 m zone of intense silicification and brecciation with massive and stockwork veining is interpreted as high level mineralization. On lower parts of the property sulfide rich fault breccias are hosted in andesites, where mineralization is narrower and higher grade. Epithermal Au-Ag mineralization occurs along 3.5 Km on strike and 600 m of vertical interval. Drill permitting documentation has been submitted. Gainey Capital Corp. signed a LOI to acquire the 9,200 hectares La Minita Cu-Au-Ag property in Sinaloa. A series of NW trending shears host porphyry mineralization associated with intermediate and felsic dikes, which are more than 300 m in length and up to 10 m in width. Fine grained sericitic alteration, silicification, quartz stockworks and copper sulfides (bornite, chalcopyrite) as disseminations and veins occur in prospect pits by gambusinos. Great Panther Silver Ltd. announced that SEMARNAT granted all permits for construction and operation of the new phase II tailings storage facility at its Topia mine in Durango. Mexus Gold US informed that it has produced gold with the installed Merrill Crowe system at its Santa Elena mine in Sonora (not to mistake with First Majestic’s Santa Elena mine, also in Sonora). The Merrill Crowe system will continue to be tested until the end of the year, as mine site security is upgraded before full production begins. Americas Silver Corp. announced that the San Rafael mine at the company’s Cosalá operations in Sinaloa is now in commercial production, as of December 19, 2017. Mine production is currently averaging 1,200 tonnes per day (tpd) and increasing. Telson Resources Inc. entered into a loan facility and offtake agreement with Trafigura Mexico, S.A. de C.V., to sell 100% of the Pb-Zn concentrate produced at the Tahuehueto mine from January 2018 to December 2022. Trafigura provided Telson with with a US$15 M credit facility deliverable on three tranches: First tranche of US$7.5 M already received; Second tranche of US$5 M, 4 – 6 Months from signing; Third tranche US$2.5 M, 6 – 9 months of signing. SilverCrest Metals Inc. completed the bought deal private placement previously announced, for gross proceeds of $10 M. The company paid a cash commission of $568 K on the proceeds of the offering. Primero Mining Corp. agreed with its lenders to an extension of its revolving credit facility and guarantee provided by Wheaton Precious Metals Corp. to January 11, 2018. Primero is considering the divestiture of its San Dimas mine in Durango. Torex Gold Resources Inc. has received a waiver by BNP Paribas on behalf of the lenders to lower the covenant threshold in the credit agreement from $50 M to $30 M until January 31, 2018. Alio Gold Inc. provided the final results from the 2,000 m drill program to twin previous drill holes within the pre-feasibility pit for metallurgical test at its Ana Paula project in Guerrero. Highlighted intervals comprise: 112.0 m @ 3.85 g/t Au; 33.1 m @ 7.07 g/t Au; 54.6 m @ 7.19 g/t Au. Alio is now to test the extension of the breccia zone below the proposed pit, with a 4,000 m program, commencing in January. Almaden Minerals Ltd. provided assay results from a follow-up drilling in an upper portion of the pre-feasibility pit on its Tuligtic property in Puebla. Highlighted drill intercepts comprise: 46.0 m @ 0.74 g/t Au, 26 g/t Ag; 24.0 m @ 0.62 g/t Au, 15 g/t Ag; 16.5 m @ 0.56 g/t Au, 10 g/t Ag; 50.5 m @ 0.73 g/t Au, 11 g/t Ag (including 10.5 m @ 2.45 g/t Au, 24 g/t Ag); 13.15 m @ 0.70 g/t Au, 8 g/t Ag; 32.0 m 0.82 g/t Au, 25 g/t Ag; 14.7 m @ 0.91 g/t Au, 27 g/t Ag; 10.25 m @ 1.16 g/t Au, 26 g/t Ag. Consolidated Zinc Ltd. announced that drilling on the Tres Amigos North zone intersected 5.60 m and 4.35 m respectively of massive sulfides. “Assays are pending but visual analysis shows mineralisation comprises banded textured massive sulphides with very fine to fine-grained pyrite overprinted by coarse-grained yellow to reddish sphalerite and minor galena associated with carbonates”. Results are pending. Oceanus Resources Corp. completed the fall 2017 drill program which comprised 600 m of diamond drilling to define the strike and dip of the high-grade Caleigh vein and the low-grade alteration zone in the hanging wall. Assays for the last six holes are pending, and expected to be released in January 2018. Work during Q1 2018 is to focus in locating and defining other high-grade vein systems in the property, and begin to look for mineralization on the favorable El Tigre formation over a distance of 5 km. Orex Minerals Inc. signed a non-binding agreement with Canasil Resources Inc. and Pan American Silver Corp. to advance exploration in the Sandra Escobar mining camp in Durango. Under the terms of the LOI (Letter of Intention) the Orex (55%)-Canasil (45%) JV is to grant Pan American a 10% interest in the Sandra property, with the opportunity for Pan American in the next four years to earn-in an additional 41% in the Sandra property by contributing US$5 M toward the operations of both properties, with US$2 M required during the first two years. If Pan American elects not to continue during the earn-in period, the initial 10% will revert back to the Orex-Cansil JV. If Pan American chooses to further advance the properties by completing a pre-feasibility study, it will retain a 60% interest and the Orex-Canasil JV 40%. Gainey Capital Corp. signed a LOI with Asteria Mining Services S.A.P.I. de C.V. to acquire 100% of the 9,200 hectares La Minita Cu-Au-Ag property in Sinaloa. Marlin Gold Mining Ltd. obtained a final order from the Supreme Court of British Columbia to implement the company’s previously announced plan of arrangement to reorganize its business, including the spin-off of its subsidiary Sailfish Royalty Corp.
Vangold Mining Corp. entered into an acquisition agreement for a 100% interest on the San Carlos claim, in Guanajuato. The aggregate purchase price of $CDN425 K is to be paid through the issuance of CDN$350 K in Vangold shares and the remaining CDN$75 K will be paid in cash. The San Carlos property is close to Vangold’s El Pinguico and Patito I & II mineral claims. Americas Silver Corp. agreed with Minera Hochschild to amend the timing of payment under its option agreement on the San Felipe project in Sonora. The total consideration for a 100% interest in the property is US$15 M in cash (plus VAT), of which US$7 M were paid in March, US$500 K are to be paid on January 2018, US$500 K on April 2018, US$1 M on July 2018 and US$6 M on December 2018. On the picture below, Fault slickensides on quartzite, Durango. Photo by Jorge Cirett.